Jailed businessman Mikhail Khodorkovsky has given to humanitarian organizations compensation money the Russian state was ordered to pay him as a result of a case heard at the European Court of Human Rights, prominent journalist Olga Romanova said Wednesday. Khodorkovsky, who has been imprisoned since 2003 on charges ranging from fraud to embezzlement, transferred roughly 25,000 euros ($31,000) to Romanova's advocacy group Russia Behind Bars, actress Chulpan Khamatova's charity Gift of Life and the Podmoskovny boarding school for orphans, Romanova wrote on Facebook. 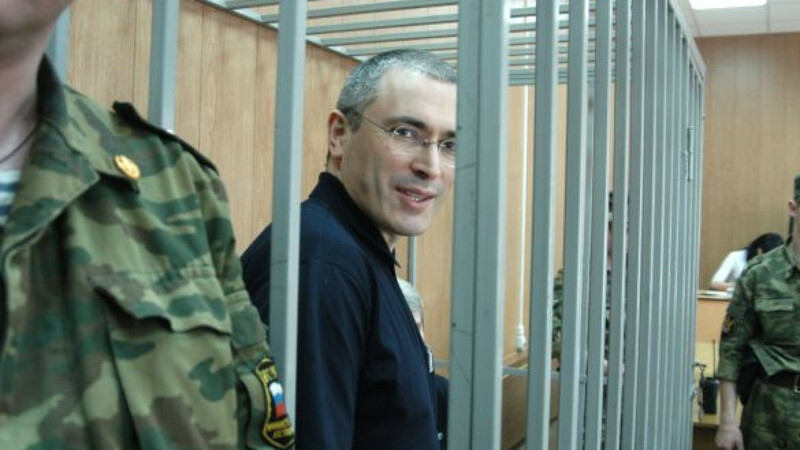 In May 2011, the European Court of Human Rights awarded the former Yukos tycoon 10,000 euros in compensation and almost 15,000 euros in damages after ruling that Russian authorities were guilty of violating his human rights after his arrest. Romanova promised that she would publish online reports of how Khodorkovsky's money is spent. The Novaya Gazeta journalist and opposition activist founded the Russia Behind Bars support group for the wrongfully imprisoned and their families after her husband, businessman Alexei Kozlov, was also jailed on fraud and embezzlement charges. Khodorkovsky, who is due to be released in 2016, founded the Podmoskovny boarding school in 1994. Khamatova founded Gift of Life in 2006 with fellow actress Dina Korzun for children suffering from cancer and other grave illnesses. Amnesty International has declared Khodorkovsky a prisoner of conscience and views his trial as politically motivated. Also on Wednesday, investigators finished looking into the case of Leonid Nevzlin, previously a major shareholder in Yukos, who is accused of embezzlement. Nevzlin has lived in Israel since 2003 and has already been sentenced in absentia to life imprisonment for ordering murders.